Brighton chief executive Paul Barber has reaffirmed the club's strong stance against ticket touts. The club have today reminded fans to only buy match tickets from the club's official website and Albion have urged fans not to buy tickets from unauthorised ticket re-sellers. Brighton received complaints last season when tickets for matches appeared for re-sale on unauthorised websites and on social media despite the games being sold out. Barber said: “We thought it was important to relay this very important message regarding the unauthorised sale of match tickets. “It is very concerning and frustrating that tickets are being offered for sale in this way, especially when fans looking to secure their seats using the proper channels are missing out. “We also had a number of instances last season where fans with the necessary loyalty points purchased tickets and chose to offer them for re-sale, and, in some cases, over and above the face value price rather than attend the match to support the team. "The simple message to all our fans is to only purchase via the club's official ticket website, and not to allow these individuals to benefit. "We would warn against our supporters purchasing tickets, offered for sale in this way, and any individual caught selling on tickets will automatically lose their season ticket, be banned from purchasing tickets to home and away matches in the future, and will have their loyalty points entirely revoked for breaching our ticketing terms and conditions." Barber added some unauthorised websites, outside of the UK, claim to offer match tickets but said the only official vendor is the club's website. He urged fans to avoid these websites as tickets could be fake: "Purchasing tickets from unauthorised sellers is fraught with risk; the tickets could be fake, cancelled or refunded, they might not show up at all, your bank details or other personal information could become compromised, and you are likely to be refused entry or ejected from the stadium. 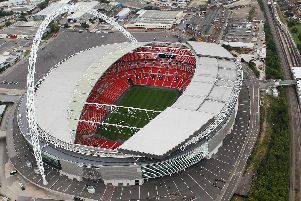 "The only place Albion fans can buy their tickets safely and with confidence is via BrightonAndHoveAlbion.com/Tickets. The club also offers the only legal re-sale opportunity for season-ticket holders, and these will only ever be resold at face value via the club's ticket line or website. "We advise fans in the strongest terms possible not to transact via unofficial outlets; they are either breaking the law, or based abroad, where consumers are not offered the same protections as here in the UK. "Individuals selling tickets are usually doing so purely for financial gain, are breaking UK law and breaching club and Premier League regulations. We will actively seek to trace any individuals selling on our tickets and, if caught, will soon find their season ticket cards blocked in line with the club's terms and conditions."